When investing in a property, you must become an expert in the most specific of data. Even the slightest nuances change a development deal. In extreme cases, these details can render a deal impossible. Are rents are set to increase or decrease? Are there rent controlled or rent stabilized tenants? Property taxes are the largest component of operating expenses. Therefore, it is important to find out the property’s tax assessment. The tax assessment changes when the building changes, and is routinely increased regardless. Does the seller have a past tax abatement as an incentive to develop? Will this abatement expire or apply when you purchase the property? Property zoning both enables and restricts development plans. If zoned as landmark or historical, this can pose major problems to development plans. Building measurements are essential in core or core plus investments, where not many enhancements occur. See our Building Measurements article to learn more. Finally, investors must carefully examine environmental concerns or issues associated with the subject property. Any toxic sites or other environmental violations (ECB) on the property or on neighboring properties can affect not only the value of the property, but there is also a chance that they must be remedied upon purchase. Ask any real estate professional what the three most important words are in real estate, and the answer will be the same: Location, Location, Location. Collecting market data is crucial throughout the entire deal process. Comparable property (comp) - a property that has characteristics similar to the subject property. Historical prices create a market and establish values for current properties. Comps are the most powerful tools when valuing a property. Find as many comparable properties and PPSFs as you can. Find explanations for outliers. When finding PPSFs, include all data. Omitting higher or lower numbers for the sake of making a deal more attractive will only hurt the deal. Lease rates and operating expenses are also important. What’s a normal lease type for the area? What’s a normal rent? How much will electricity and maintenance cost? For example, if a similar property is spending 3 - 3.5% of its gross income on electricity, then our subject property’s electricity expense will be similar. Cap rate is not a function of Net Operating Income. Instead, it is a rate-of-return indicative of larger market changes. Cap rates are different in different areas. For example, Class A apartment buildings in New York currently have cap rates of 4.00-4.50%. The lower the cap rates in the area, the stronger the property market. Recall that Cap Rate is the ratio of the Net Operating Income (NOI) to the property value. For example, if the cap rate in the area is 4% and the building is generating $250,000 in NOI, then the value (according to the formula) is $6,250,000. What’s the overall strength of the neighborhood? Is it poised for growth or has it reached its climax? What are normal property taxes in the area? How easy is it to obtain financing for that area? What’s the likelihood of competition from other similar properties in that area? Will that affect the value? How is zoning in the area? How cooperative are local/state governments with development plans by other properties? Capitalization rate (cap rate) - the ratio of the Net Operating Income to the property value. Cap rates are not a function of NOI, but instead rely on larger economic and market data. Lower cap rates indicate a stronger market. You always want to exit at a lower cap rate than when you entered. Lower cap rates in retail, small offices and apartments are purchased by owner-users. Owner-users do not rent the property. Owner-users pay a premium to own property. When NOI increases, people will pay a higher price, resulting in greater value. Building measurements are one of the most important parts of renting and selling your project once complete. Tenants want to know how rents are calculated and buyers want to know how a building is laid out. 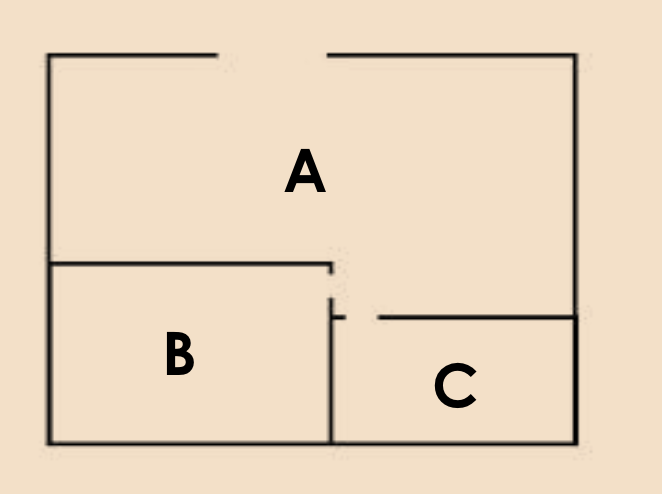 The floor-area ratio (FAR) is the ratio of the buildable square feet to the lot size. In other words, if you are allowed to build a 10,000 square foot building on a 10,000 square foot lot, your floor-area ratio is 1.0.